1900 - The first library was established in one of of the school buildings on Franklin Turnpike. 600 items were available to borrow, which the library had on loan from the State Library in Trenton. 1910 – The school needed the library space for use as a cloak room, so the library then re-located to a store in town owned by John Ackerman. 1915 – The library was re-located to the second floor of the new fire house, which was also Borough Hall. 1919 – The library moved again, this time to the Braun Building in the business section of town. 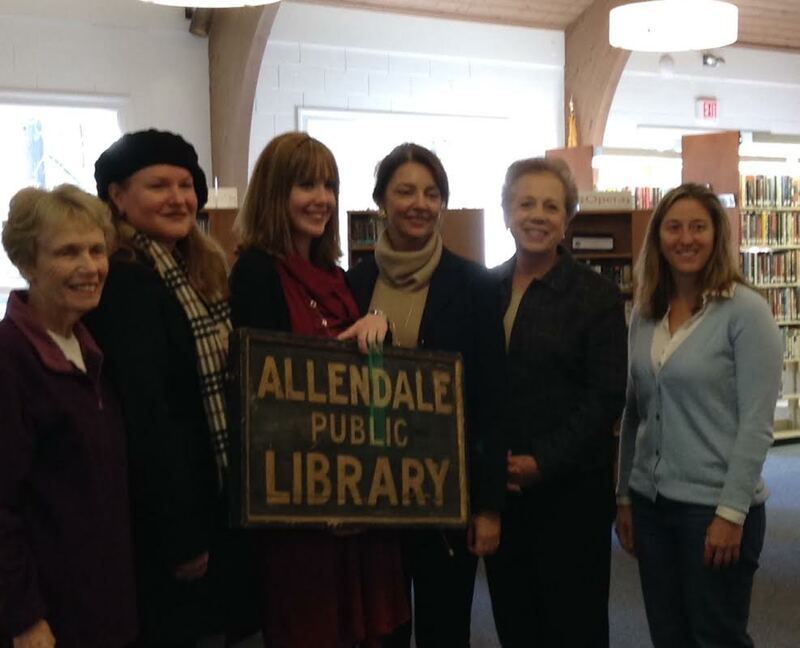 This year, the Allendale Library Association was also formed, and began planning and fundraising for a permanent home for the library. The library’s first trustees were elected, and the town’s first librarian, Mrs. Carver, was hired. 1921-1923 – Mrs. Carver retired, and Mary K. Lee, for whom the current library is named, started her career as librarian. The library formed a committee to find and purchase a site on which to build a new library building. They chose a property at the corner of Allendale Avenue and Franklin Turnpike, now the location of Universal Awards. Construction begins shortly after. 1926 – On December 18th, the library had a grand opening celebration for its first permanent home. 1940’s - The library struggled through the Great Depression with a drop in membership. The Lee family came to the rescue of the library once again, donating a new wing that opened in 1944. 1971 – The Friends of the library had their first official meeting. 1972 – The library’s plans to build a new structure in Crestwood Park fell through. 1978 – The library and Borough Hall moved into their current location, which was formerly used as a church. 2012 – The library underwent renovations resulting in a brand new reading room, young adult room, and loft meeting space. Improved lighting was installed over the stacks in the adult room. 2015 – The Children’s Department received a renovation provided in part by the Friends of the Library.